how to show the drop down field values only when apply condition to select a value in another drop down field ? On your question is there any condition can I apply to hide some values in the drop down?No It is not possible to hide all / some of the items of dropdown list. 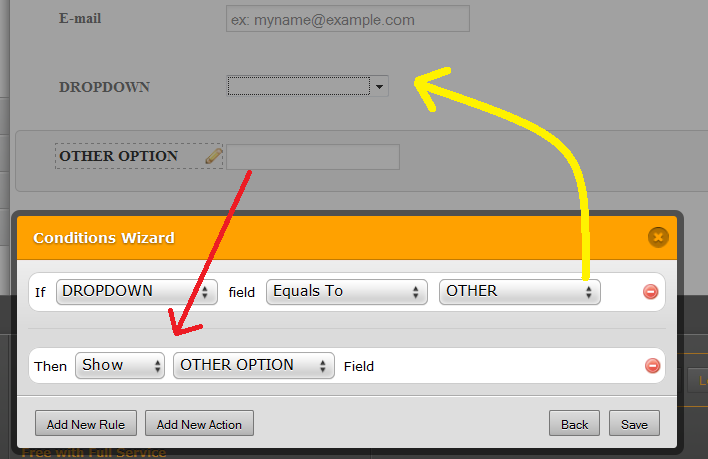 If you have a long list in the dropdown, you can break it in multiple drop down fields and use the condition logic to show only one.but if you want to show or hide fields according to selection of a dropdown field. Go to “Setup & Embed” and click "Conditions". 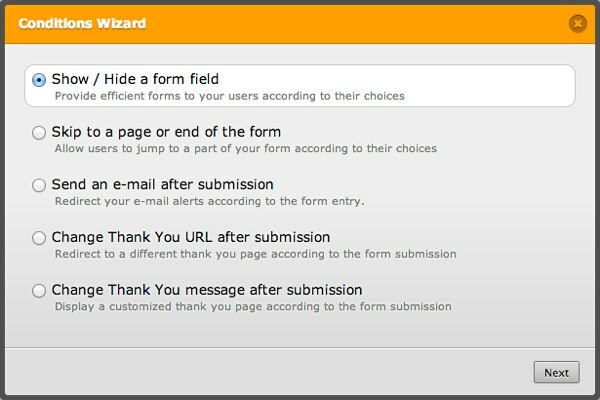 You may also take a look at our "Widget" sections where we have a lot of drop down options. You can also group your option values in "Grouped Values Dropdown" widget.